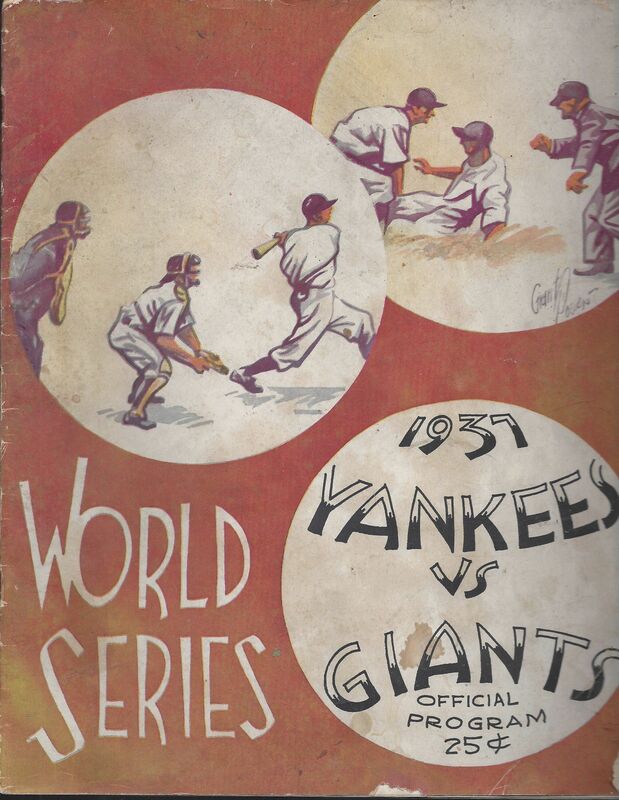 1937 World Series Program (NY Yankees vs NY Giants) Scored lightly in pencil. Center pages are loose but present. Cover shows some age-related wear. Overall decent. Vg.